Job interviews can be unnerving. You're hoping to put your best foot forward and the last thing you want to do is make a bad impression. All you want is for the interviewers to like you and see you as the perfect candidate for the job. 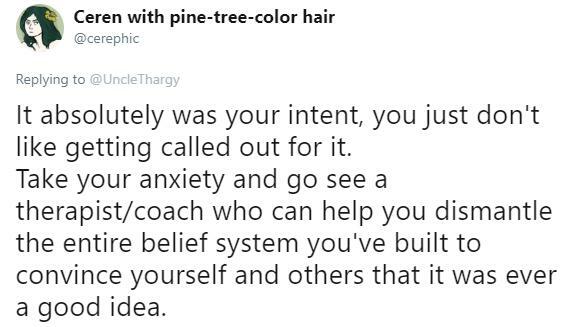 But what happens when an interview making you feel like crap, not because you're under-prepared or awkward but rather because the CEO conducting it is abusive and overly critical of your work? 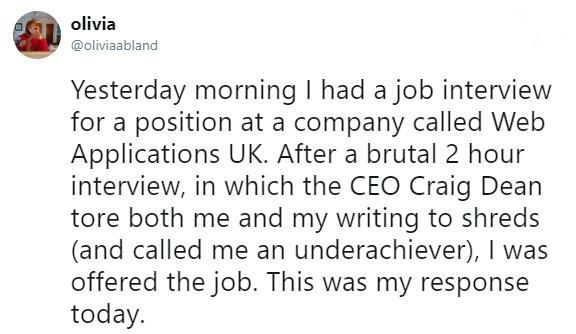 That's what twitter user @oliviabland said happened during her interview with Web Applications UK. She endured an emotional trip home after being called an "underachiever" and having the quality of her writing decimated, only to be offered the position the next day. If you've ever been on the hunt for a job, chances are you've found yourself swallowing your pride and taking whatever comes your way. But Olivia couldn't get the interview experience out of her head, so she responded with a detailed explanation why she wouldn't be accepting their offer. The experience gave Olivia flashbacks to her abusive relationship with her ex boyfriend. She didn't feel comfortable — and who would? — with a man in a position of power intentionally lording that power over her during the interview process. 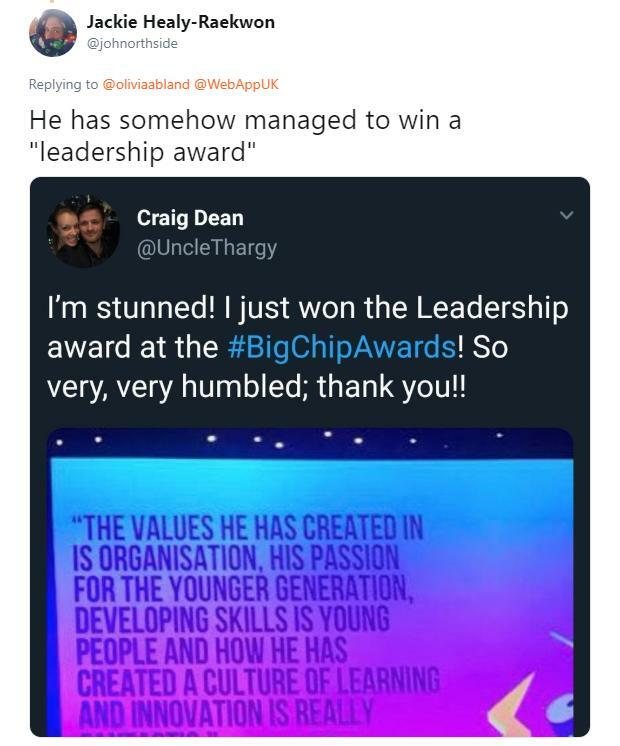 Her tweet resulted in a lot of divided responses from users, but it's worth mentioning that people who worked for Web Applications UK in the past had similar things to say about Craig. One young man recalled a very rough interview he endured. 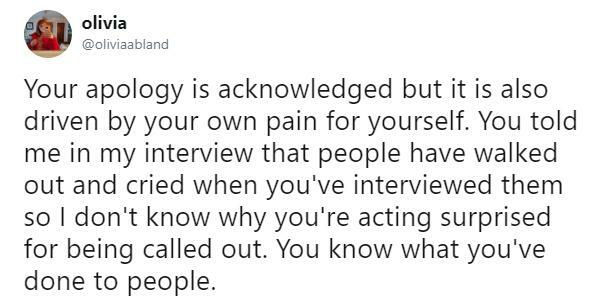 He also said Craig has made people cry during interviews in the past. Olivia's tweet went viral, with tons of people clamoring to hear a response from Craig, maybe even an apology, but the young woman pointed out that she had yet to hear back from them and expected not to. Twitter, being the way it is, worked quickly to hunt him down. They quickly found Craig and learned a few things about his life that were shocking: like that he had previously won a leadership award for his management style. 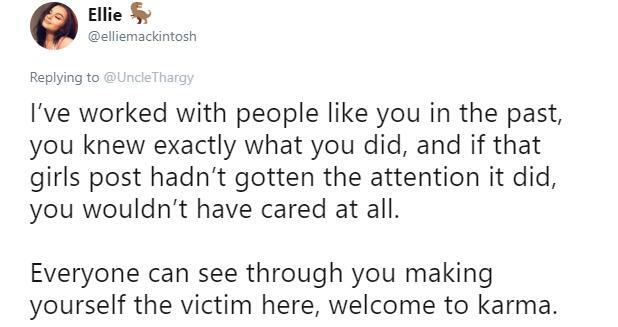 People generally fell into two camps in response to Olivia's thread: either Craig was an unforgivable monster who deserved to be punished, or Olivia was a spoiled millennial who should develop a thicker skin. She found the latter suggestion absolutely ridiculous, given what she endured in the interview. 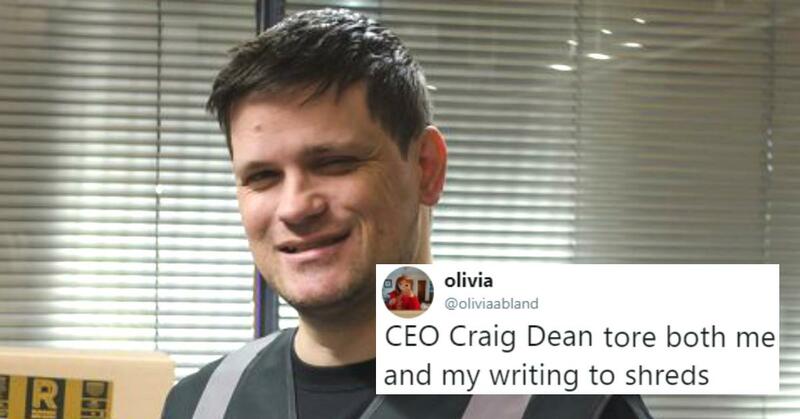 The constant pressure from people on social media and all of the press covering Olivia's story eventually elicited a response from Craig Dean, who offered up a reply on Twitter along with a screenshot of a note he penned. He offered to apologize directly to Olivia, but also said he didn't release a statement because she expressed that she never wanted to hear from or speak to him again. 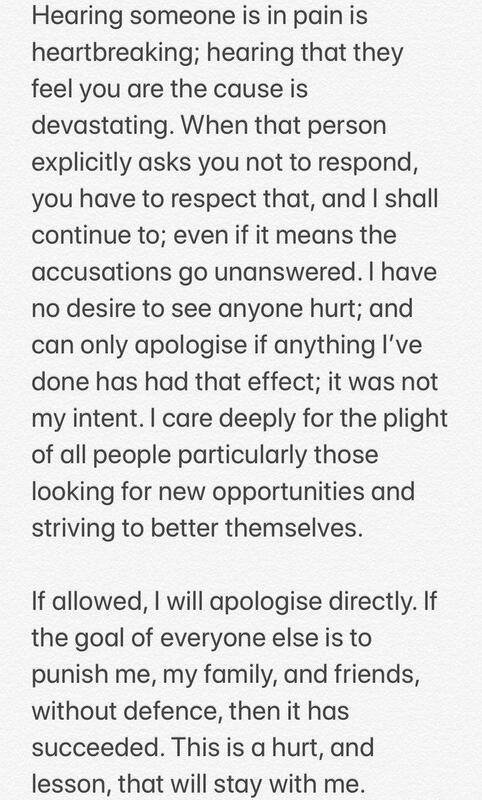 Tons of people on social media weren't convinced Craig's apology was genuine, and some didn't even consider it an apology at all. Some further details about Craig's character and his position as CEO of the company also arose online. 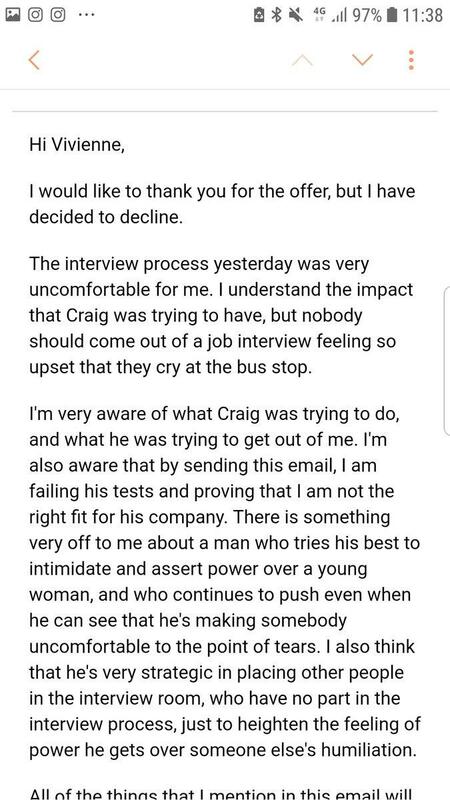 An anonymous Twitter account claimed Craig's wife handles human resources at the company, so whenever a problem arose regarding his behavior, it didn't get resolved. 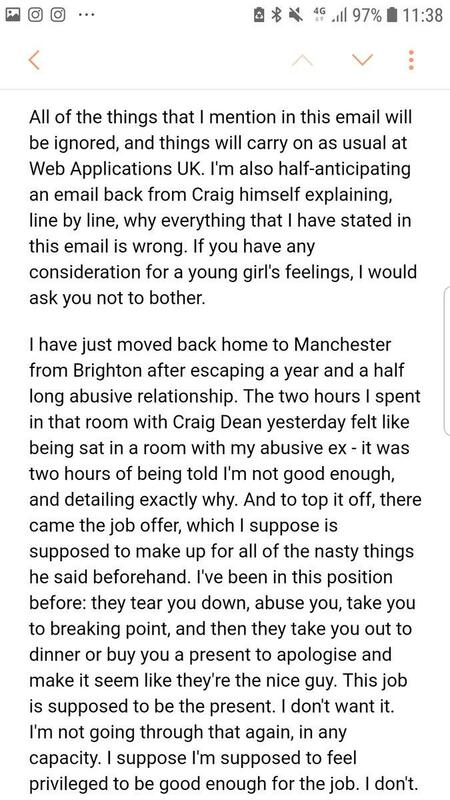 Olivia ultimately acknowledged Craig's apology online, but she didn't buy that he was completely unaware of his effect on people. She mentioned that he acknowledged people have walked out of interviews with him in the past, so he knows he had a problematic history of treating potential new recruits in an abusive way. It's worth mentioning that a lot of the Glassdoor reviews of Web Applications UK paint a similar picture of Craig Dean. He's been called "controlling" and insulting, and it has been said he always seems to be trying to prove he's better than his employees. As of now, there aren't any updates to the story, and Craig hasn't tweeted out any follow-up responses on his Twitter account. He's still listed on the company's website as CEO.